7.1 Item 1) Follow the readme file's step by step instructions under - setup time = around 5 min. MyEcobee device, My Ecobee Switch and related smartapps have required thousands of hours of development & testing efforts to build (around 6000 lines of code just for the thermostat), so a minimum financial contribution is now required to get the latest code. Functionality: Supports regular ST Switch capabilities. Capabilities of the Switch (integration with Alexa, Microphone, etc). If you have many ecobee thermostats and/or many ecobee switches or many ecobee3's remote sensors, create many MyEcobeeInit (for 2 or 3 switches max) instances and/or many ecobeeRemoteSensorInit (for 2-3 remote sensors max) instances and split your ecobee devices between the instances that you created. You can assign a different name for each instance on the last page. 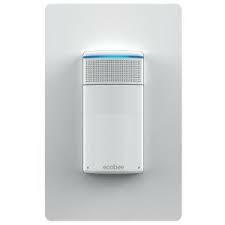 You must first configure your new switch(es) at ecobee and make sure it is connected and communicates via wi-fi. Also, make sure that your ecobee switch is connected to wi-fi. So, the algorithm will work all the same after 1 hour or several days. So, if the smartapp works for more than 1 hour, it should work for days even months without issues provided that there are no other external factors (ex. connection issues between ST and ecobee with your physical switch). Ecobee switches connect thru wifi, so if the physical switch is not connected for a while, then you may not have control over the switch during that timeframe. If the smartapp is not rescheduled every 20 minutes, and you don't manually poll the switch through the ST app, then the "refresh token" will not be obtained, and the authorization token may be lost. Execute MyEcobeeInit and re-authenticate (re-login) at ecobee by pressing on 'ecobee' on the 2nd page. Under the ST app, press the 'refresh' tile on your device to check if it's running normally after. d) If you have multiple switches exposed to ST, try creating multiple instances of MyEcobeeInit (1 for each switch) as ST has some rate limiting issues that sometimes impedes the auth token renewal. Do not use an ecobee switch or the ecobee thermostat or ecobee remote sensors as this is not an external "heartbeat" for ensuring proper scheduling. a) Like any SmartThings device, first you'd need to unselect My Ecobee switch(es) from all smartapps and/or routines (ex Amazon Echo). d) Finally, you can remove the MyEcobeeInit smartapp (if you don't have any other ecobee devices). 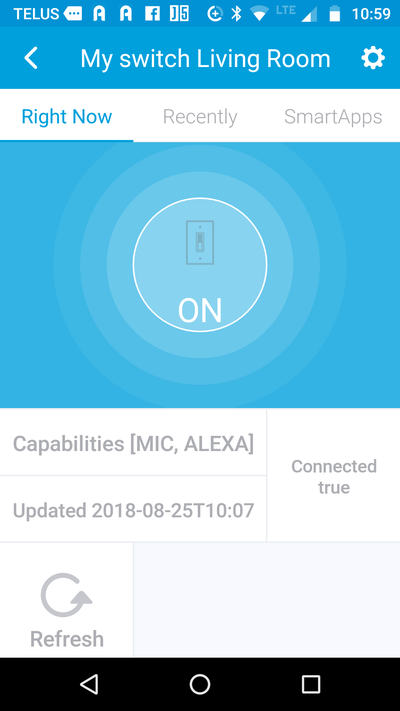 If some of your ecobee devices are disconnected under the new Samsung app, you may have created many of the same devices by executing MyEcobeeInit too many times... Under the new Samsung mobile app, you then need to clean them up by pressing the "edit" button next to your location and removing them.